Yes, that is right! I am off to Albuquerque, New Mexico, to be interviewed by a dog. But not just any dog. 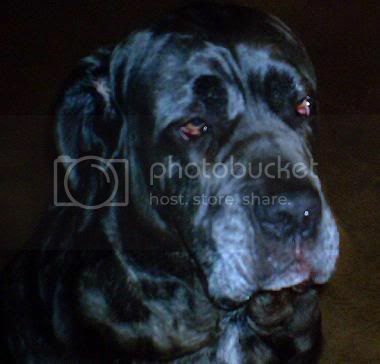 Shadrach the Neo Mastiff is a blogging dog! Shadrach was among the first bloggers to sign up to host an appearance on my virtual book tour. Being interviewed by a dog was definitely a first for me. What else can I say? Enjoy the interview! After talking with Shadrach about how dogs can help people with disabilities, his mommy Kim Bloomer, coincidentally, did a special edition of her Animal Talk, Naturally! show about how an assistance dog was kicked out of Walmart. In the United States, refusing admittance of a certified service dog is illegal according to the Americans with Disabilities Act. (In Canada, we, unfortunately, do not have nationwide legislation dealing with service dogs in public places.) Please read more about this story of discrimination and see how you can help. With all this dog talk, my puppy-cat Faith wants to be included, too. She is very much my spoiled baby! 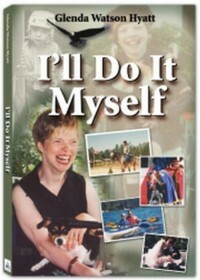 That wraps up week four of my “40 Blogs in 40 (Business) Days” virtual book tour, promoting my autobiography I’ll Do It Myself. Things are beginning to heat up and get exciting! I just landed a “Face Ad”, and on Monday, I am off to New Zealand! Who knows what will happen in the next four weeks â€“ that is the amazing thing about the blogoshpere! Great blog Glenda! I found it from the interview you did with Liz (My Year of Getting Published). I’m looking forward to reading your book. Thanks for stopping by my blog! I’m glad you enjoyed it.